Do you ever wonder which makeup brushes you should make sure to have in your kit? Well if so, you’re in luck! – Today we are featuring the top suggestions from our makeup artist. This month’s question for Amanda is, “In your opinion, what are the five most essential brushes for makeup application and why?” Keep reading to get her answer and discover the brushes you shouldn’t go another day without! • F35 Tapered Highlighter Brush – This brush is perfect for applying highlighter along the cheekbone as well as for applying blush when a stronger look is desired. Since the tip is small, it is also a great tool for contouring to get into the hollows of the cheeks. • F70 Concealer Brush - An overall excellent and versatile brush for any kind of product for face or eyes using cream or powder products. One way to use this brush is to apply eye shadow; it gives firm control so it’s great for keeping color right where you want it. • F25 Tapered Face Brush - I use this brush for applying blush and/or bronzer - it gives a soft and diffused effect. •P86 Tapered Precision Brush - This brush is made with exclusive Sigmax fibers which are very soft and smooth. I think it’s a must-have for any makeup bag because it fits all contours of the face and gives a beautiful blended finish to any kind of face makeup. I personally like to use the small tapered head to apply concealer. • E45 Small Tapered Blending Brush - I like that this brush has a nicely pointed tip which works wonders for applying dark colors into the crease of the eye. I use a back and forth motion with it for a fully blended effect without color falling all over the eye and face. We’d love to know what five brushes you like best! 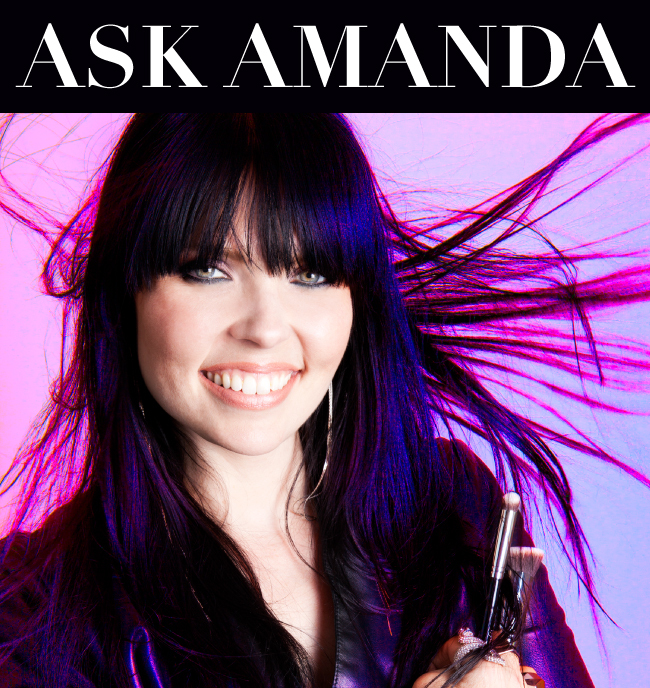 As always, stay tuned for more Ask Amanda posts each month and feel free to send your own questions to amanda@sigmabeauty.com. I love F40, E55, E40 and all my Sigma brushes. What color is being applied in the picture?